Have you made a contribution to a gum wall? This is Bubble Gum Alley in San Luis Obispo, CA. I just learned that there is a similar wall in Seattle. Not a gum-chewer. Even if I were, I wouldn’t contribute to a wall, especially one that was not owned. That wall in SLO has some of my DNA too. I visited the one in Seattle on the way to the Pike Brewing company. 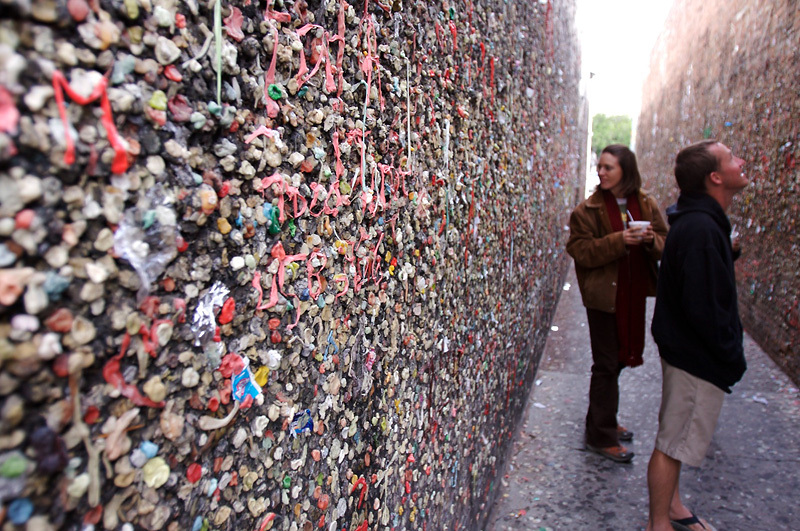 After visiting the brewery we went and purchased gum just so we could leave some on the wall on the way home. Tempting as it was, I did not swap for an existing wall piece. Do you chew gum regularly, or know people who do? What is your favorite song by The Smiths? Curious observation - Black and white tourists in the US - Where are all the African-American tourists?